IT’S TIME FOR PHASE TWO: We need partners like YOU to help take it to the next level. The two year anniversary of the Nicaraguan Project Ultra was July 2013. This is a true grassroots movement which began with nothing but faith, the help of the incredible WINFOCUS Global and fantastic relationships. Please click here to see our partners. We are proud to announce the following progress. 12 to 15 ultrasounds are done gratis for the patients at the rural Las Salinas Puesto de Salud (health post) every single Friday. For many, this is their ONLY opportunity to receive an ultrasound. Doctors from other health posts as far as 50 miles away are sending their patients to Las Salinas. MOG provides the Cardiologist, Dr. Cecilia Zapata, at Hospital Gaspar Garcia Laviana in Rivas, Nicaragua the use of our portable ultrasound machine every 15 days. This is the only means to provide Echocardiograms (sonograms of the heart). In 2012 the doctor provided 192 such ultrasounds and saved many lives. The Comisión de Consejo al Familia (The Indigenous Family Council Committee) on the local level volunteer their time freely – they transport the machine whenever it leaves Las Salinas, they provide the security at the health post and they are ready to become more involved as we move forward. The Ministry of Health has approved our project and has expressed willingness to become more involved. In 2012-2013, we provided all of this with volunteer help and a shoestring budget – using only 5% of total donations for administration costs. But it was a year of great sacrifice and austerity for all involved. We can get started on Phase Two with an initial budget of only $3000.00 per month! Even with this modest sum, MOG can have a phenomenal impact. 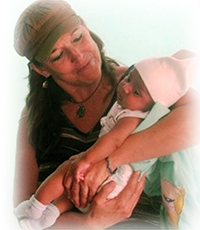 WE CAN EXPAND OUR PROJECT TO INCREASE PRENATAL CARE FOR THE IMPOVERISHED MOTHERS OF THE RURAL TOLA AREA AND MORE! Reach out and touch someone who is struggling and needs a helping hand by becoming a part of the Project Ultra Team! Missions of Grace is based on Relationships – with our staff, our volunteers, the people we help and our donor partners! We cannot do this alone – we do not even want to do it alone! 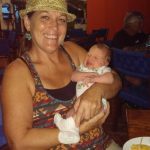 Which in short means we can save more lives, help more pregnant mamasm and make a great impact for better health, reaching out a caring hand to the impoverished rural population of Nicaragua. The WINFOCUS Global Ultrasound 4 Human Development Project ongoing in Minas Gerais, Brazil and funded by the local government, was founded on the grass-roots model that Missions of Grace and WINFOCUS created in Nicaragua.The Brazil project is now flourishing and growing State-wide and beyond. 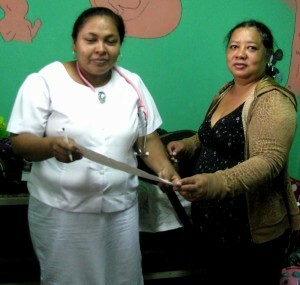 We (Nicaragua) have recently been supported with their remote oversight and education program. They use an empowering “cloud” system: all ultrasound images and videos done by the trainees – nurses and doctors – are stored on the online cloud, each with their personalized folder, and accessed remotely by the trainers for assessment, feedback and guidance. A library of educational material is also present.This is in addition to the live just-in-time training sessions. What this means for us is solid training for the medical personnel in our project, which as you know is vital!! This means support, feedback, education, partnership. Global ties that are mutually enriching will also keep growing. Remuneration for our staff – after two years of total sacrifice! Please understand that all the Nicaraguan staff have been sacrificing their time and energy for this project without remuneration for the last two years. That is very admirable here in the United States, but when poor people in a 3rd world country give like that, it is amazing. They are true partners. But the demand of the project is growing and our people need to receive a pay check, so that they can in turn focus on the care of the patients. Additional project locationThe regional director of the Tola’s health care system is very experienced with prenatal ultrasounds – and has expressed an interest in joining our project. She will be a key in local oversight and also taking on part of the demand we are experiencing. We will need to supply the internet connection to her Health Center, as we do in Las Salinas. Because our machine is portable, we can travel with it and make this life-saving project more accessibleTaking the project to local health care fairs in communities where there is no health post and also being a backup machine for the local hospital (which is three hours away) is a great plus we can offer to continue to save lives in different ways. MINSA (Ministry of Health) on both national and SILAIS on the regional levels – we NEED them to become a vital part of this project – one day they will partner with us to expand it to the many parts of Nicaragua that need this program so badly. APRODEN-local Indigenous Leaders: Las Salinas is an official Indigenous Community and there are 22 more in Nicaragua where the Committee is eager to assist us in expansion of our project. 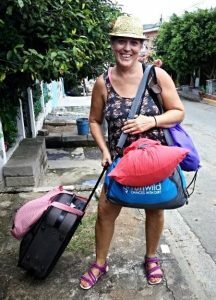 Nicaraguan Project CoordinatorIt is imperative that there be a continual MOG presence in Nicaragua and constant communication with the Director (Cheri) as she concentrates on building up the Home Team and Financial Stability. International NGO Status from the Nicaraguan Government. YOUR DONATION IS USED 100% FOR THIS PROJECT, AS OUTLINED ABOVE. It’s simple to donate. Visit our donation page and elect for PROJECT ULTRA Fund. Please consider a monthly commitment*. Don’t have a PayPal account? That’s OK… you can use credit cards thru PayPal, or contact us for instructions on manual donations, such as mailing a check. *For monthly subscription, you can unsubscribe at any time, although we hope you won’t! It’s Time for PHASE TWO – We need partners like YOU to help take it to the next level. With Your Help…We CAN Do This! Become part of the Project Ultra Team in Phase Two. Up until now we provided all of this with volunteer help and a shoestring budget – WITH YOUR HELP, WE CAN IMPLEMENT PHASE TWO. Partner with us! and become part of the Project Ultra Team in Phase Two.